Peach Passionfruit & Strawberry Pavlova – Gluten free Dessert Spectacular! 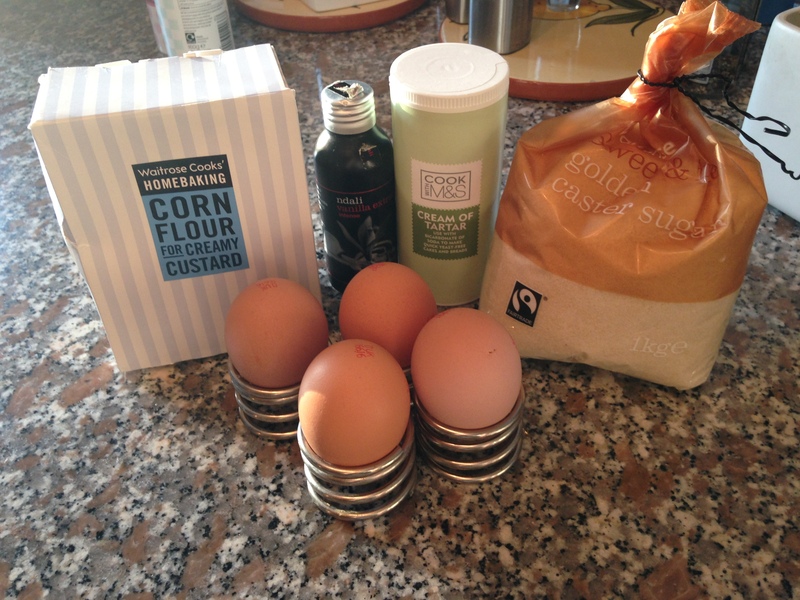 I love baking and offered to make something for my friend Simon’s BBQ as he had lots to do including building the BBQ. There were 2 vegetarians and 1 gluten free guest coming. “No problem, I will make my pavlova, a perfect summer dessert that everyone can eat”. 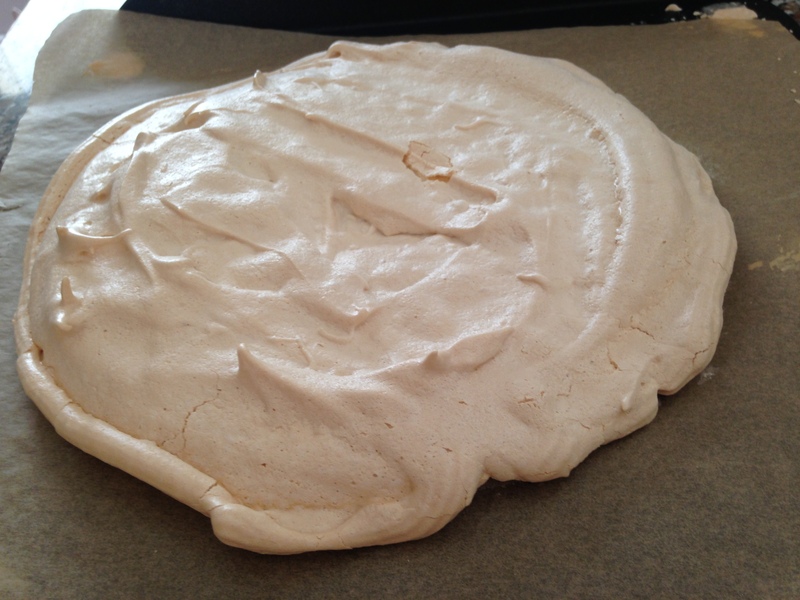 My twist on meringue is to use golden caster sugar as it makes a pale golden meringue, a hint of toffee flavour with a slightly soft, melt in the mouth texture. 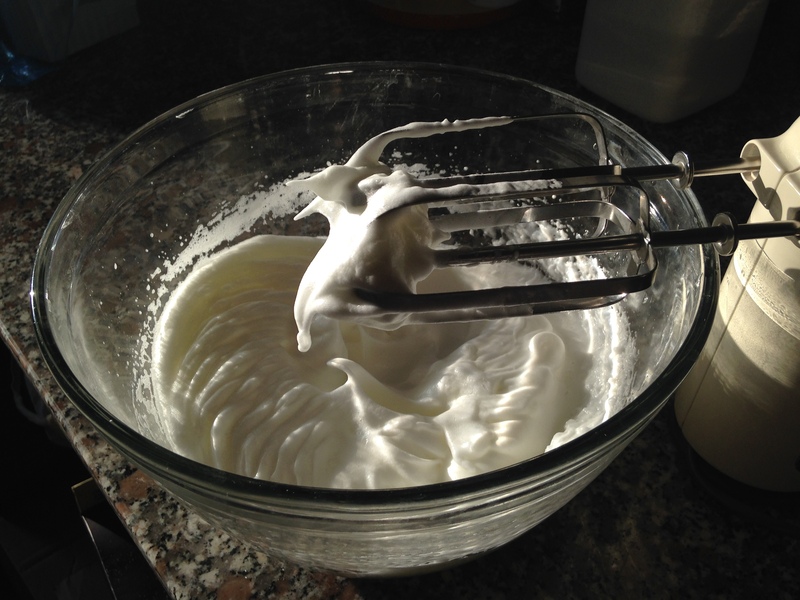 You can substitute for white caster (superfine) sugar for a more traditional white meringue. Heat the oven to 150 degrees Celsius (300 F). 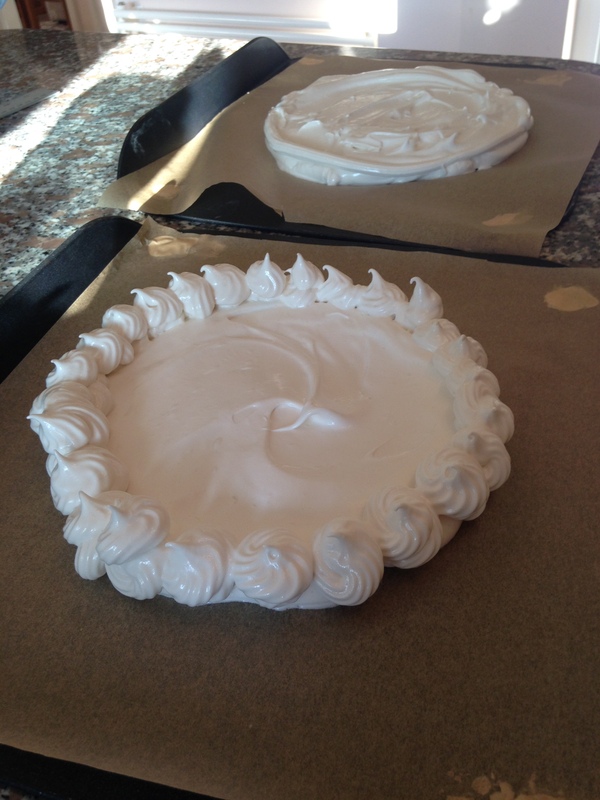 I got a bit fancy and piped meringue for the top disc. 8. Turn the oven down to 140 C (275 F) and bake for 45- 60 minutes, swap the baking sheets half way through to get an even bake if on 2 shelves in the oven. They are ready when the top feels firm and the meringue comes away from the baking paper when a spatula is slipped underneath. Whisk the cream, add 2 passionfruit. 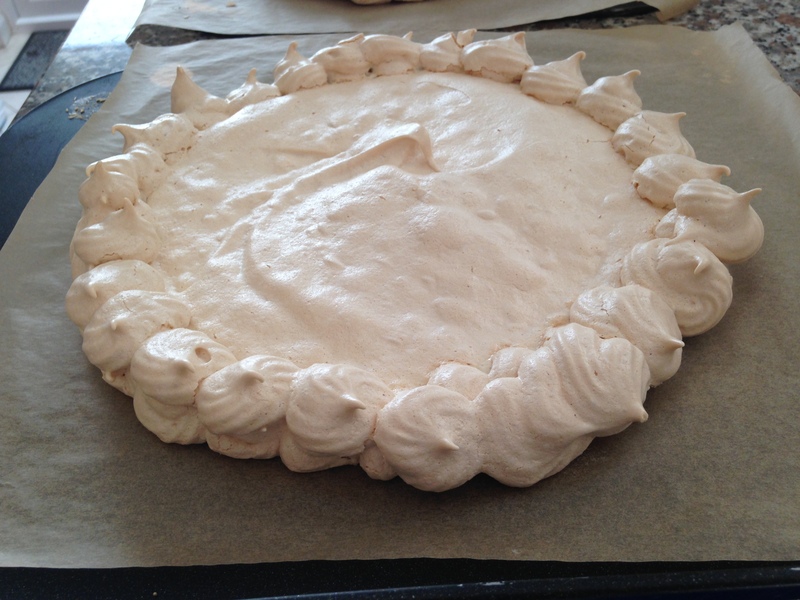 Spread a layer on the bottom meringue and sandwich the top meringue. Spread the remaining cream on the top. Add sliced peaches,strawberries and remaining passionfruit. Simon’s BBQ crew approved and the pavlova was a hit, gluten free and delicious. A Kiwi dessert with no kiwifruit but I hope Anna (Pavlova) would be proud. Absolutely love the colour, great touch! Thanks I wanted to choose fruits in season that taste good and the apprearance was a bonus! I responded to lindsey a couple of times but no reply back. What address should I send it to? Hi Linda sorry this is the right address I was away for a few weeks. Please check out the Cake & Bake Show on 2-4 October at Excel , Custom House tube as there will be lots of cake decorators and you should be able to find a suitable icing class. Please let me know & good luck. Looks delicious! This would definitely be a hit with the 3 coeliacs in my family (2 sons and 1 husband!). Have you got any more gluten free recipes? Check out some of our previous recipes, I am sure some of the salads will work for you too!